Riviera Resort, Palm Springs, 1600 N Indian Canyon Dr, Palm Springs, CA 92262, Royal Room 1. Park in Ballroom parking spaces for free parking. Members must login to enable discounted rate. Royal Room 1. Park in Ballroom parking spaces for free parking. Schedule: Beginning at 10:00 a.m. to 3:00 p.m. Lunch served at 11:30 a.m. Ample time for questions at end. Workshop over promptly at 3 p.m.
Every year, more books are sold to buyers in market segments outside of bookstores than are sold through bookstores – bricks or clicks. And they can be sold more profitably, in large quantities and on a non-returnable basis. These include buyers for discount stores, warehouse clubs, corporations, associations, schools, the military and many more. Much can be done in the writing stage to get your share of these sales and discover a new world of opportunity. Brian Jud is an author, book-marketing consultant, speaker, seminar leader, television host and president of Premium Book Company that sells books to non-bookstore buyers on a non-returnable, commission basis. Brian is also the Executive Director of the Association of Publishers for Special Sales, and the creator of Book Selling University. Brian is the author of How to Make Real Money Selling Books (Without Worrying About Returns) This is the ultimate do-it-yourself guide to selling your books to non-bookstore buyers in large quantities, with no returns. He also wrote Beyond the Bookstore (a Publishers Weekly® book), a primer on non-bookstore marketing. Brian has also written and published five titles on career transition that are distributed internationally. He is a prolific writer of articles about book publishing and marketing. 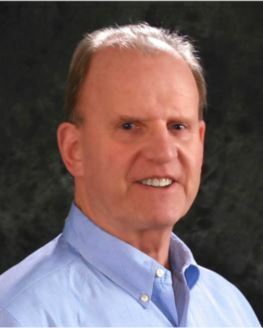 He is the author of the eight e-booklets withProven Tips for Publishing Success and the contributing editor to the monthly newsletters, Book Marketing Matters, The Sales Informer, The Authority and Bound to Sell. He was the host of the television show, The Book Authority that aired for 13 years. Payment in Full is confirmation of seating. Online payment via PayPal or credit card only. Day of workshop sales available ONLY if workshop is not full. Bring check. Workshop events are limited to 40 participants. Park in Ballroom parking spaces for free parking.